Mid-range phone Samsung Galaxy Ace has received CyanogenMod 10 (CM 10) port based on Android 4.1 Jelly Bean. XDA Member Maclaw brings the first CM10 ROM for ARM6v7 processor. The ROM is in the development stage and most of things are broken, so I suggest you not to use this ROM for daily use. Android 4.1 Jelly Bean brings many exciting features such as Google Now, Project Butter etc. 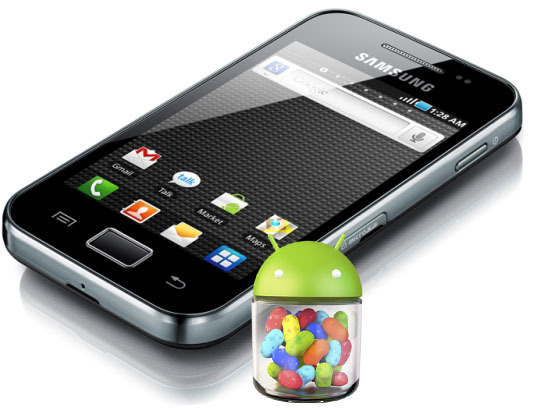 Click here to find out more about Android 4.1 Jelly Bean. Kudos you’ve successfully installed Android 4.1 Jelly Bean based CyanogenMod 10 (CM10) ROM on Samsung Galaxy Ace. when can we expect cm10 for htc explorer ?? It takes 2-3 months to reach you.